Quilt has squared edges, it is not askew as it looks when held up in this quick photo. 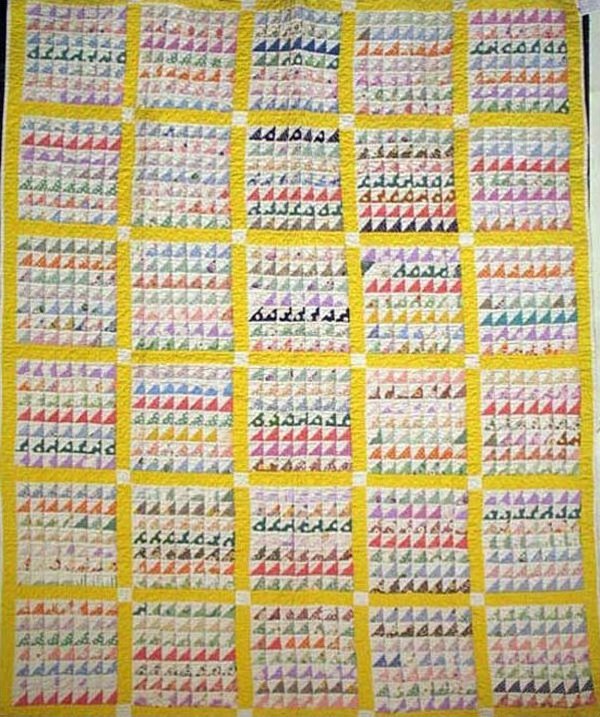 A 49-PATCH intricate variation contains tiny triangles in each square (one printed. one white). Every block has 98 pieces! Grid frame is solid yellow with white corners. A meditative composition, surely, Has wonderful colors--teal, violet. rose,sherbert and kelly green, no one color dominates. The intermediate size suggests the quilt was made for a child's bed or a trundle bed or chaise.